Buying a car isn't always easy. It's difficult to know what you need and whether a vehicle meets those needs. However, it's important to nail down exactly what you're looking for in a car before purchasing it. The first thing you need to determine before looking for the right vehicle is why you're in the market for a car. If you just got a new job across town, you're probably looking for transportation solely for the commute. If you're an athlete who needs to drive to practice, you're probably looking because you need a vehicle to transport your gear. Once you determine why you need a car, you can then figure out what kind of vehicle meets those needs. A family expecting its first child will need to look for a safe, reliable car. On the other hand, an woodsman may want a vehicle that can handle rough terrain with four wheel drive. Be sure to think carefully about how the car will be used to determine what specific features you'll be looking for. The next thing you need to ask yourself is how much you can afford to spend. Before heading to the dealership, nail down a budget. Kelley Blue Book suggested calculating this according to how much you can pay per month. First, calculate how much you earn each month. Then, subtract all necessary costs. This includes rent or mortgage, utility costs, food and any debt you're currently paying off, such as credit cards or student loans. The remainder is what you have leftover to spend or save how you'd like. 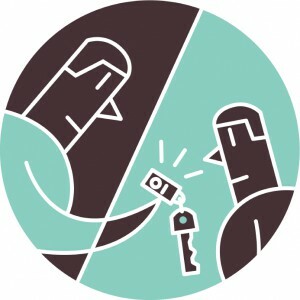 Tweet This: "Taking out a car loan will help you build good credit." Like many people, you may find you will need some added help financing your purchase of a new set of wheels. Getting a loan will help you pay for the car upfront, while you pay the lender back in smaller increments, usually over the course of a few years. Your interest rate may depend on several things, including your credit score and income, but the average right now is about 5.04 percent for a three-year loan to buy a used car, according to Bankrate. Business Insider pointed out that first-time auto buyers can take this opportunity to begin building good credit. Taking out a loan and paying it back consistently on time will help boost your credit score and give you an advantage next time you need to take out a loan, whether it's for a new car or something else, like a mortgage. However, if you fail to budget correctly and can't make the loan payments every month, your credit can become damaged quickly, causing you more problems in the future. After you have determined why you need a car, what features you need and how much you can realistically afford, it's time to begin your search. 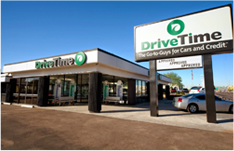 It's important to find a car that meets all your needs, but it's equally important to spend time to find the right car. Buying the first car that fits your ideal description without doing some added research can backfire. Chesrown explained an important question many people don't think to ask is about tires. The tires are typically one of the first things that need to be changed on a car, so it's good to know how soon you'll need to buy them. Tires aren't cheap, so the newer the tires, the better. Ask how deep the tire tread is. This is a good indicator of what kind of shape they're in. If the treads are below 3/32 of an inch, the tires need to be replaced; they aren't safe to drive on. If they are 4/32 or 5/32, they are about halfway through their life span. It's also important to know about the car's history as well as the title's history. An AutoCheck report or CARFAX will detail any accidents or other issues the car has had. They may signal the vehicle isn't as safe as you'd like, or they could show you that you might be able to get a lower price. A car can be a difficult purchase, especially for a first-time car buyer. However, asking yourself and the salesperson the right questions will help you make the right purchase. Subscribe to our email list to have used car buying tips and tricks delivered directly to your inbox! Thanks for the tips Sara. 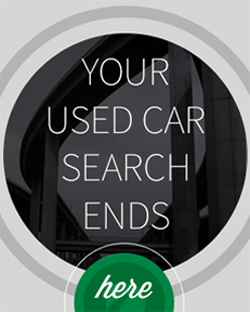 This will help those who are planning to buy used cars. Most are actually doubtful in buying used cars but if they know what to ask and what to look for, it will save them more than buying new ones. It helps that you went through these different questions that I should ask a salesperson. I’ve never been able to afford a car, so now that I have a steady job I can finally buy my own car. Learning about the tires seems like good advice since they’re something that I’ll have to change on a regular basis. I’ll make sure to buy a car that has new tires to make sure they won’t wear down soon after I buy it. Thanks for the tips! Are these questions valid to ask the seller prior purchasing – How long have you owned the car? Who did you buy the vehicle from? Will this help me out in? 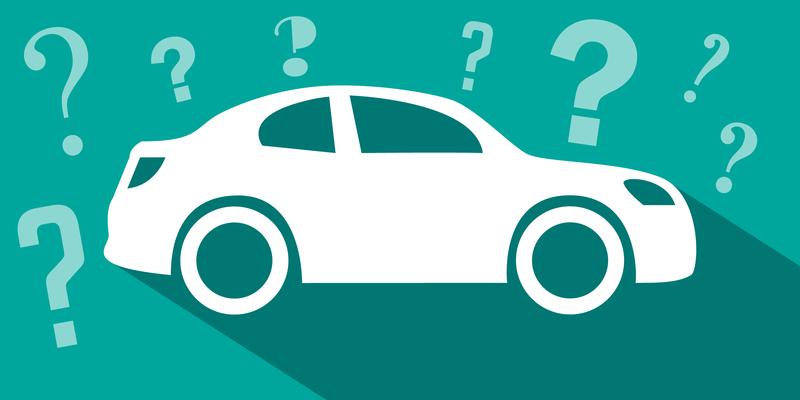 Hi Jayshree – We think those are all valid questions to ask before you purchase a vehicle!